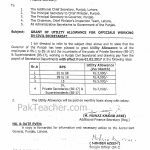 Official Notification Utility Allowance 2017 for Punjab Govt. 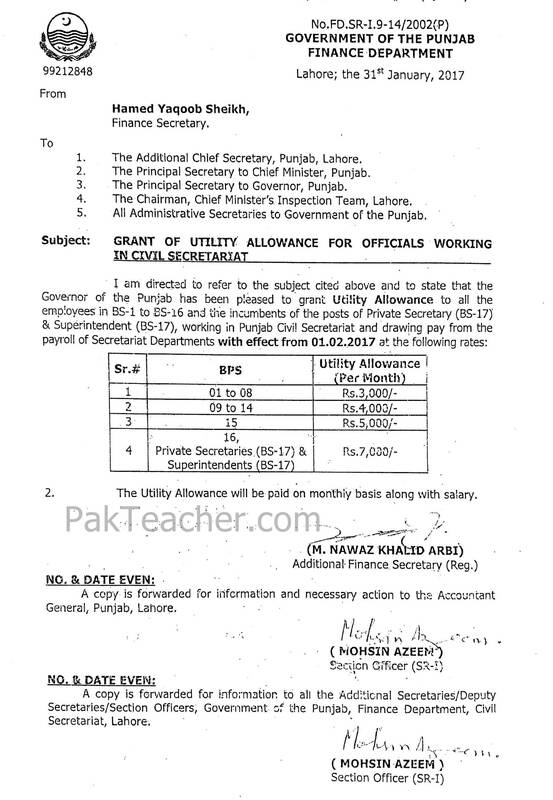 Employees working in Civil Secretariat Punjab. Rates for utility allowance per month are as follows.